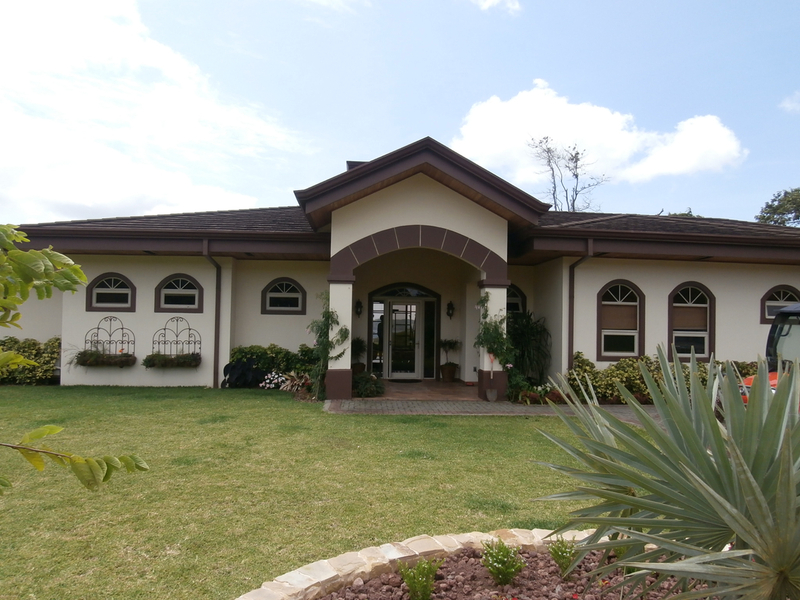 Beautiful and spacious home by the lake in upscale gated community nearby town and lake park. 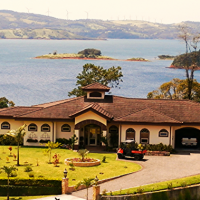 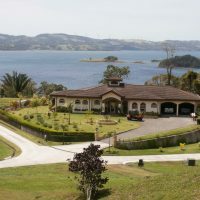 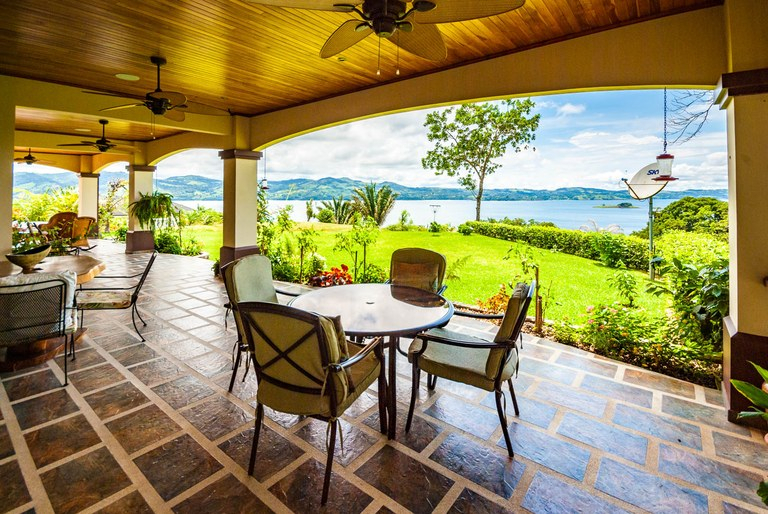 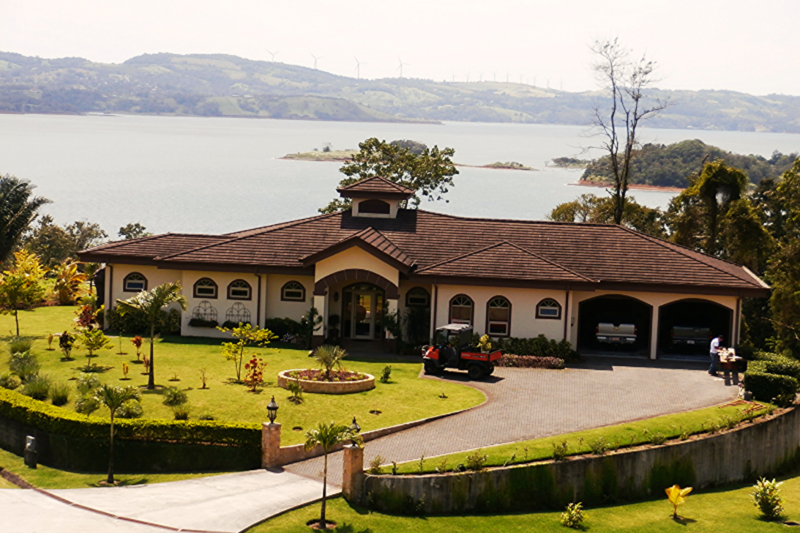 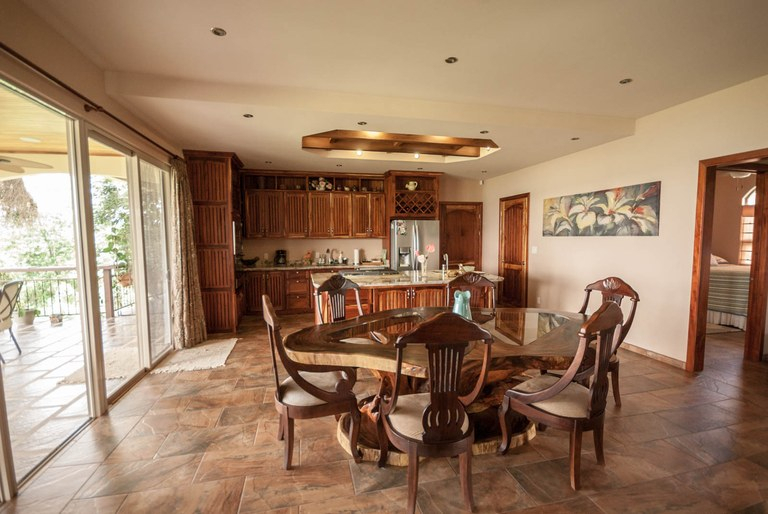 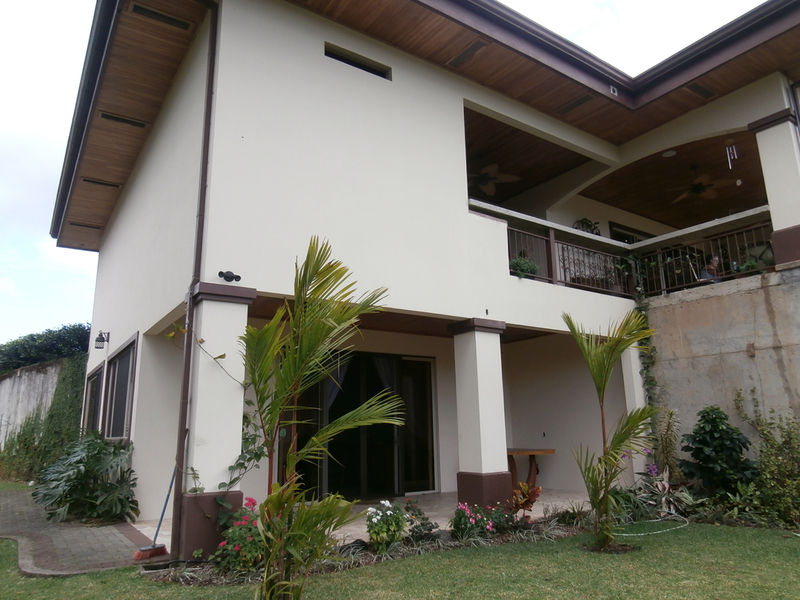 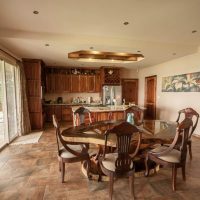 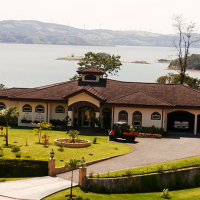 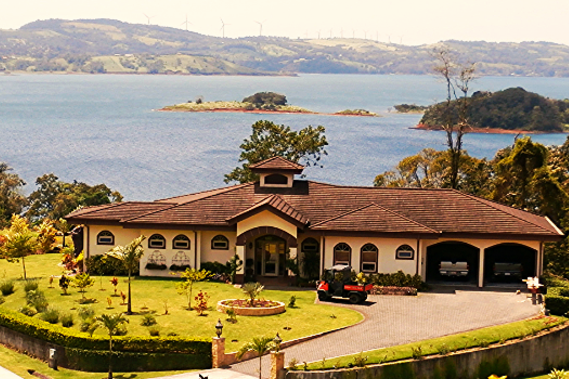 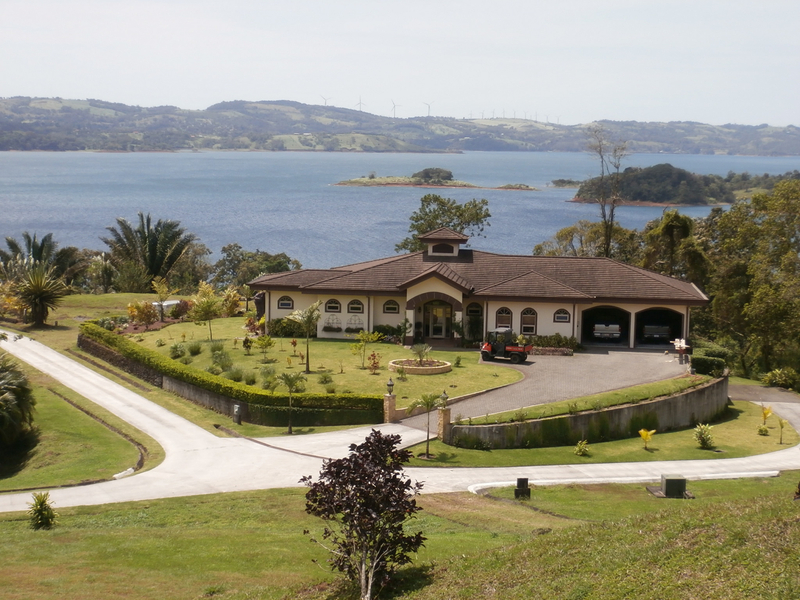 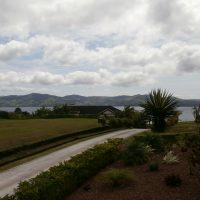 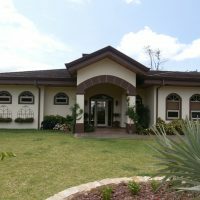 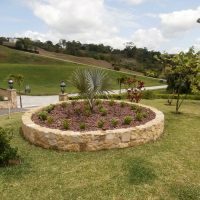 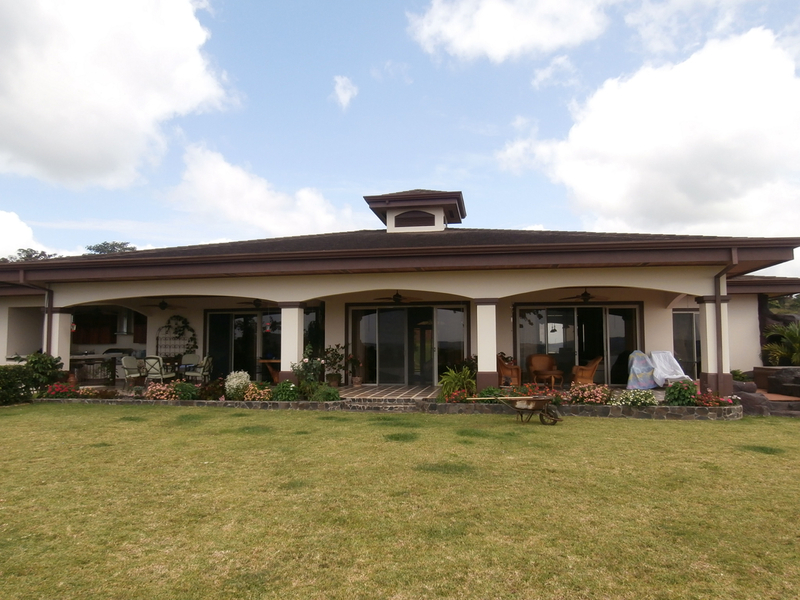 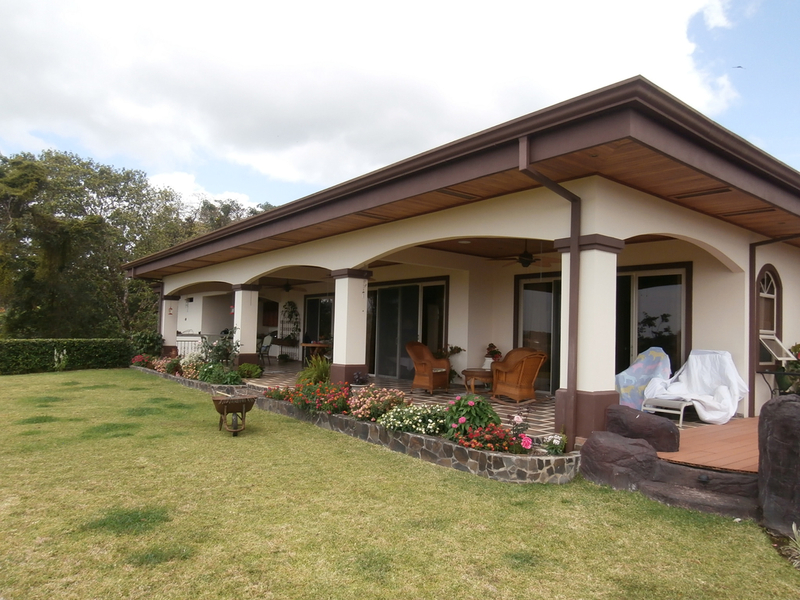 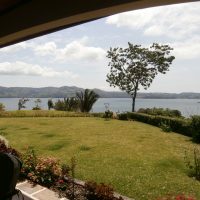 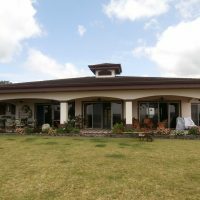 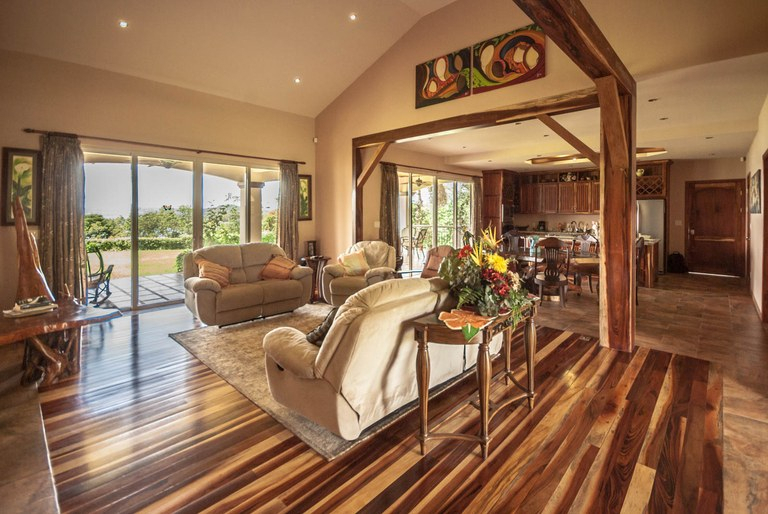 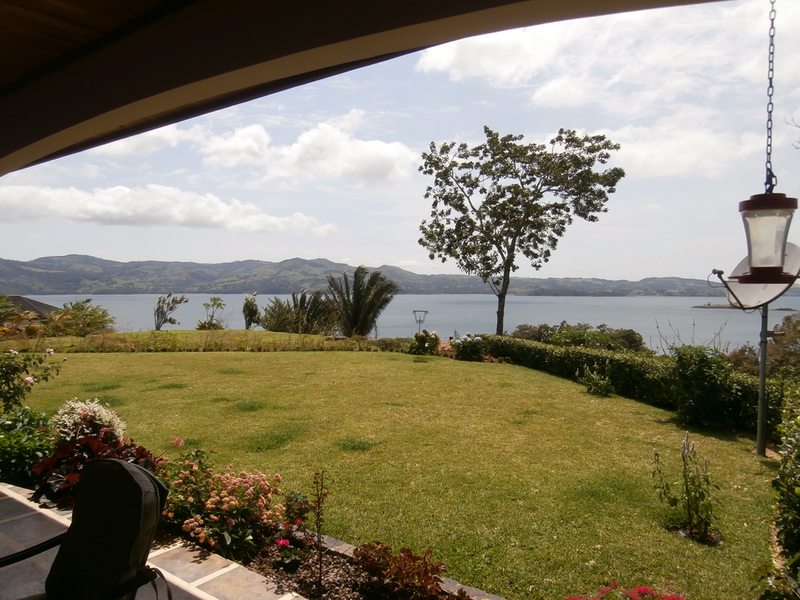 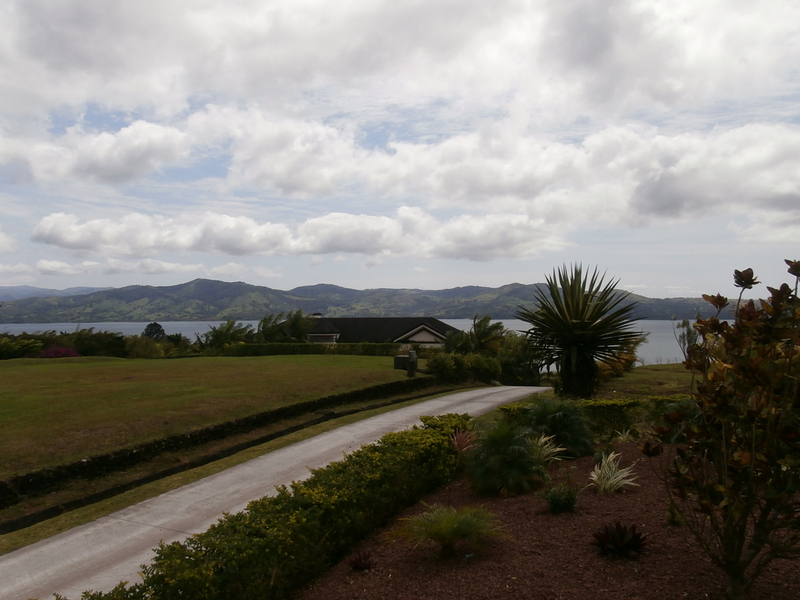 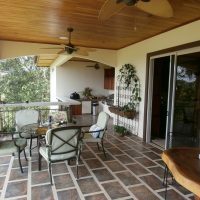 This is almost new luxury house in an upscale gated community, walking distance to Lake Arenal or town. 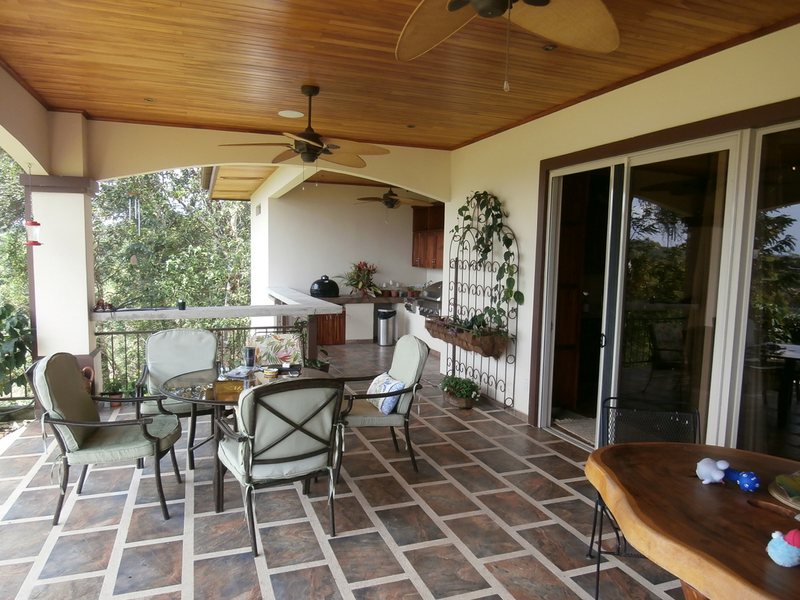 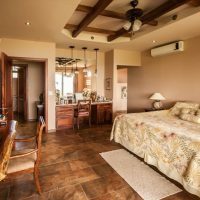 There are two bedrooms and two and a half bathrooms on the main level. 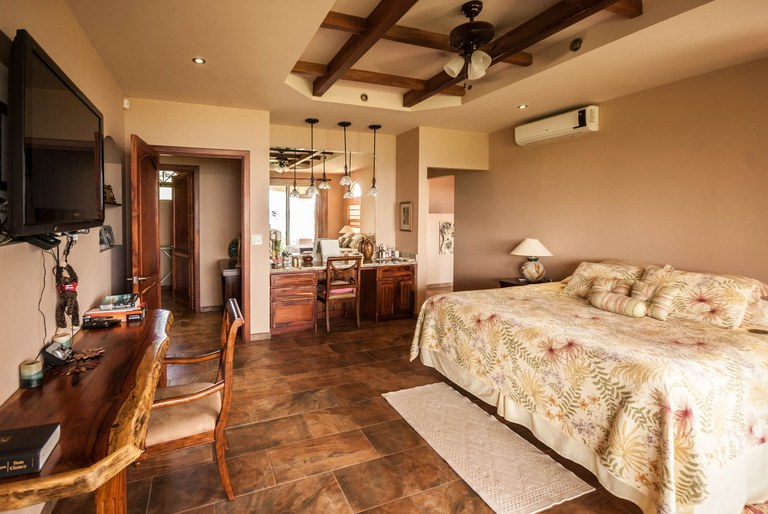 Below is a separate one bedroom apartment with its own entrance. 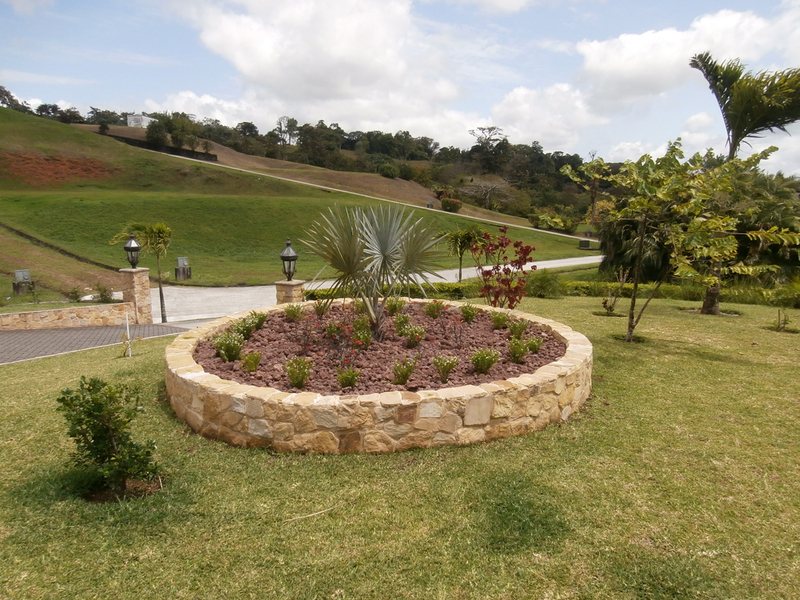 House has been finished to high standard and is set within beautifully landscaped garden. 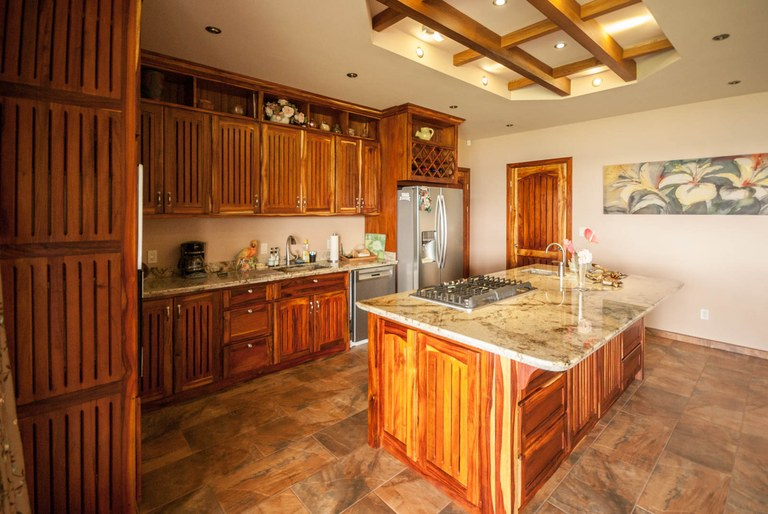 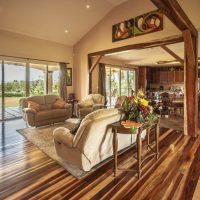 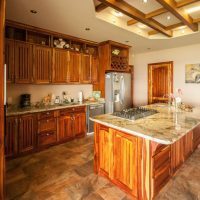 Inside were used quality materials, featuring lots of tropical hard woods, stainless steel appliances and granite counter tops. 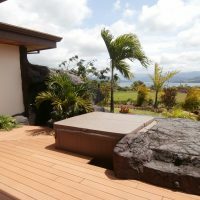 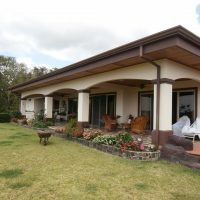 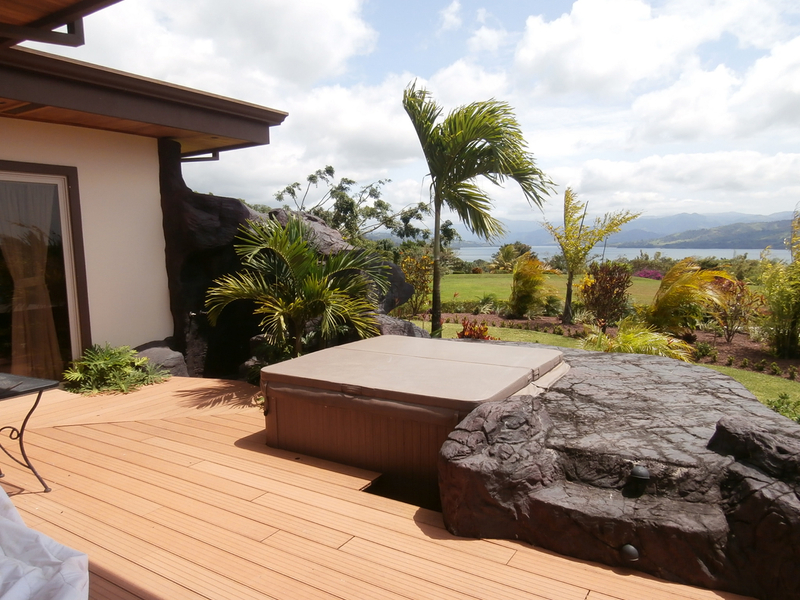 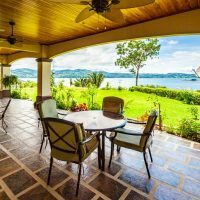 On the side facing the lake there is a huge veranda enabling comfortable outdoor living, including BBQ/outside kitchen and jacuzzi. 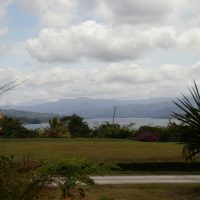 Lake view from there is absolutely amazing. 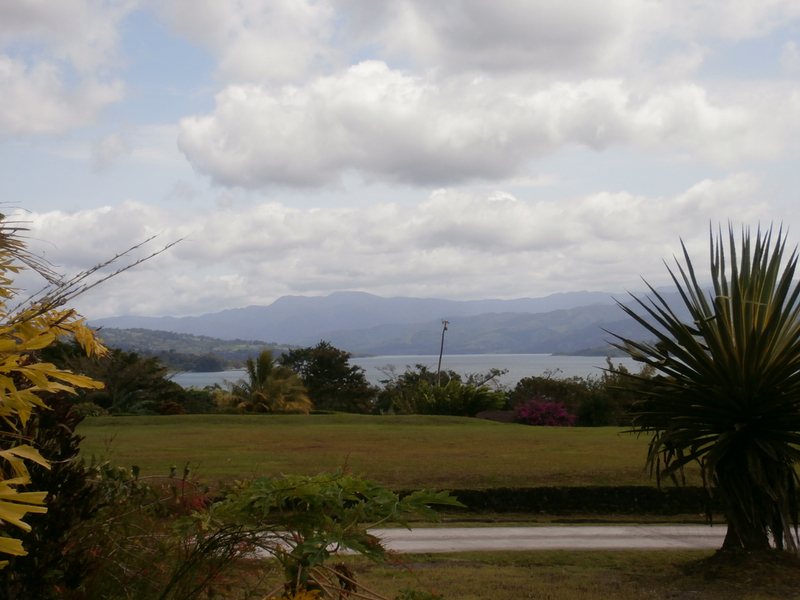 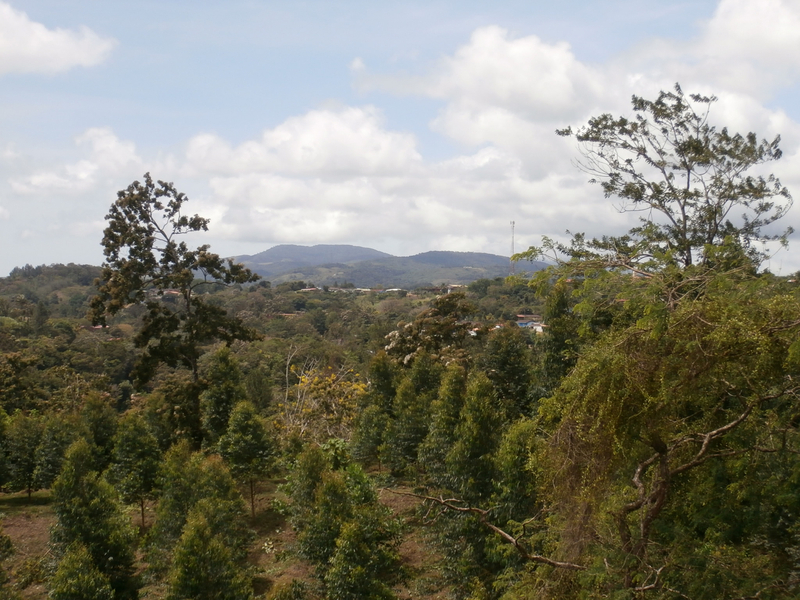 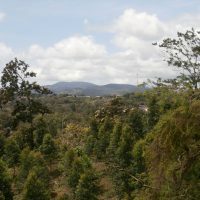 If you look to the right, it’s possible to see the Volcan Tenorio as well. 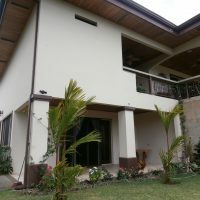 The whole house was designed barrier-free and is set on one acre lot, segregated to three parts, which enables possibility of erecting some more structures.